Hannibal is often considered the finest general the world has ever known. Setting out from Carthaginian-dominated Spain with a small army of select troops, he fought his way over the Pyrenees and crossed the Alps with elephants and a full baggage train. Descending into Italy, he destroyed the main Roman army at Lake Trasimeno and came close to conquering Rome itself. At Cannae, Hannibal's brilliant cavalry tactics enabled him to destroy a reassembled Roman army, and his subsequent defeats over a fifteen-year stay in Italy were due more to lack of sufficient support from home than to any failings of generalship. 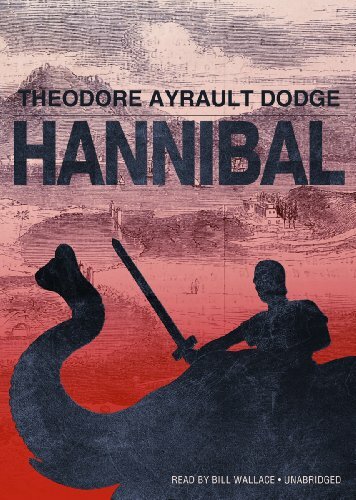 Theodore Ayrault Dodge's classic history, first published in 1891, is equally perceptive of Hannibal's military prowess and his visionary character. Dodge followed Hannibal's route from Carthage to Italy, paying particular attention to the famous crossing of the Alps, exploring every pass in order to determine Hannibal's route. In this book, he wrote an entire history of the art of war among these two mighty armies. Hannibal remains unequaled as the most comprehensive and readable study of history's greatest general.